NAMM 2019: If you’re on the lookout for a metal shelled snare drum on a budget in 2019, Tama’s trio of affordable new Metalworks Black Steel snares could be right up your street. At the core of the three size options - 10”x5.5”, 14”x5.5” and 14”x6.5” - is a 1.2mm matte black steel shell, crafted with a central ridge for reinforcement. The sound is described as having “a bright tone with a tight crispness in high-tuning and a smooth resonance in low-tuning”. 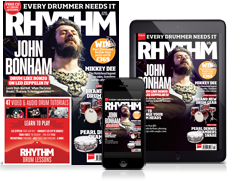 The stealthy drums come complete with matching black shell hardware, including 1.6mm triple-flanged hoops. 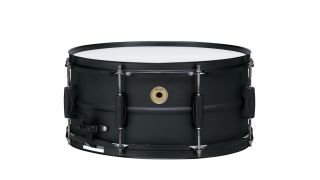 Aside from the spec, the most appealing element of Tama’s Black Steel snares is the price. The 10”x5.5” will set you back just £99, followed closely by the 14”x5.5” at £109 and the 14”x6.5” £119. We’ll take one of each. Head over to Tama for the full lowdown.